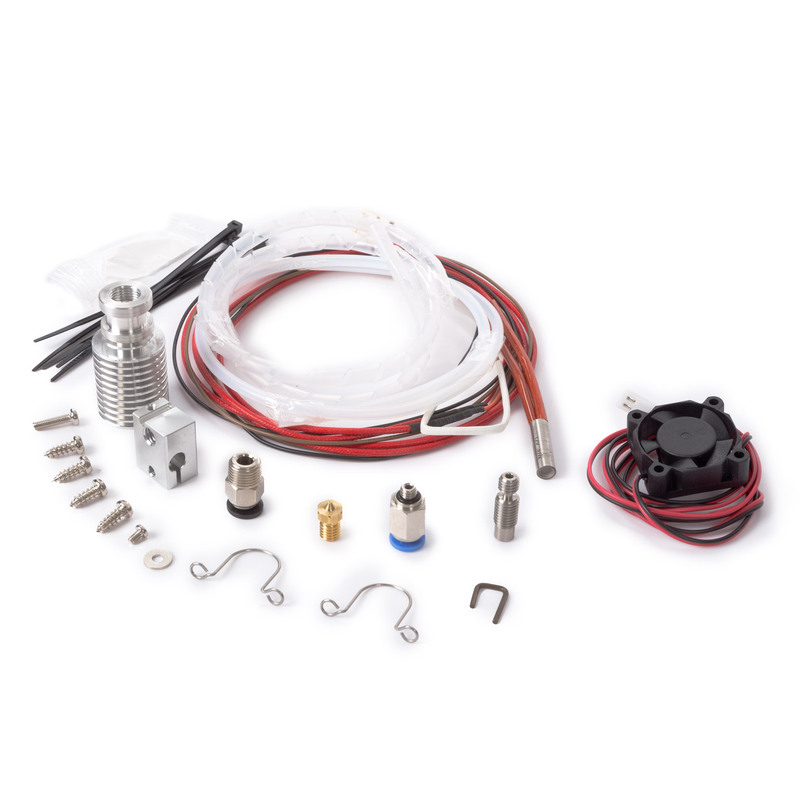 What is combined in the spare part “heater wire loom”, is hard to order. I asked Electronic Conrad for this spare parts (and others), but say said me in the first run, that it is not available. Of course, I didn´t gave up. I wrote them another time, that this is a clear wearing part, same like nozzles. You also don´t by a new car, only because your tires are worn. But if it is everytime such a problem and action to get those parts, I am looking more and more to buy it anywhere else. Somewhere, I read, the heater cartridge is 15V by 33W. Is this correct? And what about the NTC. Cold (room temperature of about 20°C), I measured 90 Kiloohm. So probably 100 Kiloohm by 0°C? Does somebody know an exact type and manufacturer? You can order spareparts on our webshop. But we haven’t heard something that a heater cartridge and the ntc do wear down. Are you sure you mount them correctly? I mounted them correctly, and actually, the combined “heater wire loom” (heater cartridge and NTC) don´t get damaged through itself. I see in most of the problems with a blocked nozzle that the cooling was not proper. So, first of all, never shut off a printer, when it has still 40°C or more displayed. Second, with the time gets the fan old and dirt in it´s bearings reduces the rotation speed and so the proper cooling. I ordered a couple of fans to have them in time, when I need them to exchange. But meanwhile I dismounted the hotend to clean the blocked nozzle. And that mounting and dismounting again and again is a stress for the spot-welded connecting wirings of the heater cartridge. If the welding breaks away, the heater cartridge is lost. And so it makes no sense to have in addition a hotend, mounting material, fan the ntc and whatever if you always have to buy it completely new. So it should be a understandable desire of a customer to get an information what technical datas the heater cartridge and the ntc should have. We can print things with our 3D Printers. But we can´t print money. And so it should be understandable why we want to save money to buy not everything everytime new! When I have to repair something, I want to replace exactly the part, which got damaged.